CONTENT MARKETING IS NOTHING NEW, BUT IT’S CERTAINLY MORE IMPORTANT THAN EVER. In a world where consumers are switching off to the ‘hard sell’, companies need to give their audiences high-quality content they can engage with. Strategic Content and Copywriting Masterclasses teach your team the core principles and practical skills to help generate content in-house. Attendees will leave with the confidence to start creating copy for the platforms best suited to your brand. Customising outcomes according to your team’s needs and the key objectives of your business. WHAT DOES THE CONTENT AND COPYWRITING MASTERCLASS COVER? This creative, practical class covers the core principles of clear and compelling content. The class outlines the optimal way to start a writing project, from taking a brief and planning, through to refining customer messages and managing approvals. We look at benefits vs features, clarity and brevity and best practice examples. We’ll also cover how to spark interest and tailor your copywriting approach for key channels across online and print, and test learning with a number of writing activities. Your team will leave the workshop with a united approach to writing and with the building blocks to create engaging copy and content across multiple platforms. The class can also be tailored and customised according to the particular needs of your business, customers and team. I organised our team to attend Louise’s course and really enjoyed it. 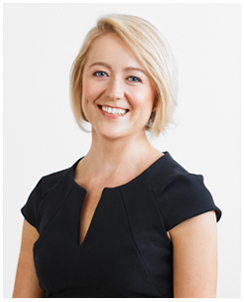 Louise is an engaging, warm presenter with extensive experience and knowledge in communications. I would definitely recommend this course for anyone looking to improve their communication skills. Whether you’re ready to arrange a Masterclass or have a few questions about how it might work for you.